Lecturer: James Russell studied History at Pembroke College, Cambridge, but was galvanized into writing about art by a lengthy stint selling contemporary paintings and sculpture in Santa Fe, New Mexico. A passionate advocate of 20th century painting and design, he writes and lectures widely. His books include the popular 4-volume series Ravilious in Pictures, about British watercolourist and designer Eric Ravilious (1903-42), and other titles devoted to Paul Nash, Peggy Angus, Edward Bawden and Edward Seago. He curated the 2015 exhibition Ravilious at Dulwich Picture Gallery and has lectured all over the country, from Rye to Glasgow and from the Victoria and Albert to the Royal West of England Academy. The work of women photographers has often been unfairly neglected. The lecture seeks to correct that by examining the contribution of three outstanding British practitioners: Iulia Margaret Cameron, a Victorian pioneer; Jane Bown, a brilliant portraitist; and Fay Godwin, who excelled in landscape photography. The work of two highly influential Americans Dorothea Lange and Annie Leibovitz will also be explored. Lecturer: Brian Stater chief interests lie in photography, architecture and history and he combines all three in his lecturing career. He has taught at University College London, since 1997 and became an accredited lecturer for The Arts Society in 2003. He is a member of the Association for Historical and Fine Art Photography and an exhibition of his own photographs has been staged at UCL. In an attempt to gain a deeper understanding of the skills of some great photographers of the past, he has begun to work with a pre-War Leica camera, as used by his great hero, Henri Cartier-Bresson, and many others. Early Spanish Still Lifes by artists such as Sanchez Cotán will be shown in order to discuss the many ways Still Life painting can give insights into the world and society in which the artist lived. This will be explored in the lecture as well as the development on this genre during the later centuries including the work of Goya. Particular attention will be paid to objects which can go unnoticed such as a fly on a grape or a fish bone strewn across the table. 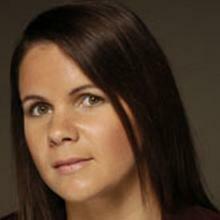 Lecturer: Jacqueline Cockburn is linguist and art historian, with first degrees in French and Spanish and Art History, an MA in Applied Linguistics and a PhD in Art History and Spanish on ‘The Drawings of García Lorca as gifts, citations and exchanges’. 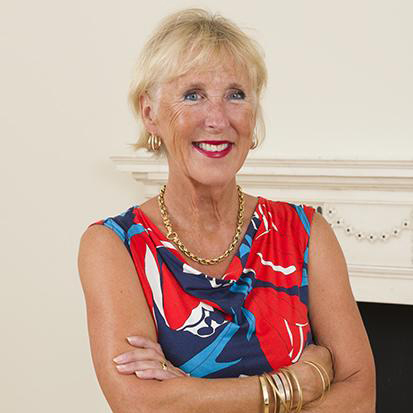 She has taught at Westminster School since 1984 as Head of Art History and has lectured at Birkbeck for 20 years. She is now Managing Director of an art tour company. She is currently publishing a book on “Masterpieces of Art in London”. One of the most interesting ways to look at modern art is through the development of colour in the work of such artists as Matisse, Kandinsky, Bonnard or Rothko. It is an aspect which is more approachable too because it offers considerable continuity with art of the past through painters like Titian, Rubens, Turner, Delacroix and the Post-Impressionists. Lecturer: Mary Acton recently retired as Course Director of the Undergraduate Diploma and Advanced Diploma in the History of Art at Continuing Education, Oxford University; continues to teach there. Is author of ‘Learning to Look at Paintings’ (1997 & 2008) and ‘Learning to Look at Modern Art’ (2004) both published by Routledge. Now working on the third in the series, ‘Learning to Look at Sculpture’. There’s more to the world of street art than Banksy, Hidden Canvases is a beginner’s guide to the biggest art movement since pop art. From train writing in New York to interactive technology that brings murals to life, the concept of un-commissioned public art is a very different beast to that which it once was. Hidden Canvases explores the key stages in street art’s growth examining the different elements and styles that comprise the scene with no rules. From the international superstars to the local underground heroes you’re guaranteed to leave knowing your Invader from your Aryz and who knows you might even start looking at the world a little differently. Lecturer: Doug Gillen is heavily involved in documenting the street art scene in London and abroad through his project Fifth Wall TV, and can offer a genuine insight into this world. Previously lectured for London Art and More, and when not filming he is an East End tour guide for Alternative London, specialising in culture and art. Using illustrations from carvings, wall paintings, pottery, mosaics, sculpture, stained glass, illuminated manuscripts, and 18th and 19th century paintings, Sarah traces the history of one of the world’s most ancient and beloved musical instruments from thousands of years BC, to it’s arrival in northern Europe, including the huge developments and improvements during the renaissance and 19th centuries that created the highly mechanised and beautiful instrument we see played in orchestras and as solo instruments today. 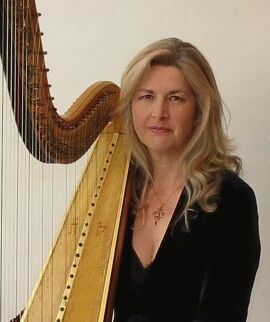 Performing on her own reproduction and antique instruments, Sarah will demonstrate the development and evolving sound and repertoire of the harp throughout its history. Lecturer: Sarah Deere-Jones LRAM LGSM ARAM is a graduate and prize-winner from the Royal Academy of Music and in 2015 was elected an Associate. She performs, writes and lectures about the harp regularly in America, Australia, Europe and UK. All lectures are presented digitally and include live music and songs on harps and other instruments depending on subject matter. The term trompe l’oeil was not used until the 19th century (in order to refer to illusionistic painting in general) but the intriguing game of simulation designed to foster the illusion of reality can be traced all the way back to the Classical era. The most famous written example comes from Pliny the Elder with his charming description of a competition between two well-known Greek painters Zeuxis and Parrhasius, who attempted to fool each other with the brilliant realism of their works, an anecdote which continue to inspire artists for hundreds of years. 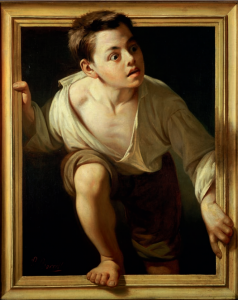 The history of the technique is traced and what exactly constitutes a trompe l’oeil painting defined (not as easy as it might seem), looking at many extraordinary and entertaining examples from the masters of illusion in Flanders such as Memling and van Eyck, through Italian portraitists and Dutch still life specialists. A number of specific techniques including anamorphosis and quadratura, as well as variations on a theme, such as the quod libet still life and peepshow, will be explored, with particular reference to works in the National Gallery, London. Lecturer: Sian Walters studied at Cambridge University. She is currently lecturer at the National Gallery and Surrey University, specialising in 15th and 16th century Italian painting, Spanish art and architecture, and the relationship between dance and art. She also teaches private courses, and organises lectures, study days and art holidays abroad. She has lived in France and Italy, and worked at the Peggy Guggenheim Museum in Venice. Without any doubt Antonello da Messina stands out as the greatest renaissance artist Sicily produced. Although he travelled to the mainland and up to Venice, most of his professional life was spent in his home city of Messina producing works of exquisite beauty. One of his strengths was in being able to learn new techniques and styles, adapting them to his own particular style. It has been said that he was always able to catch the moment of the mind and it is true that the faces that look out from his paintings are those of real people. His use of Netherlandish limpid light combined with northern Italian use of perspective and detailed symbolism make his pictures unforgettable, once seen. Lecturer: Imogen Corrigan after nearly 20 years in the British army, went to the University of Kent at Canterbury to study Anglo-Saxon & Medieval History and Art, graduating with 1st class honours. She works as a freelance lecturer across Britain and Europe as well as lecturing on small cruise ships and running study tours on land. The Emperor Qianlong was arguably the greatest of all Qing Emperors as he guided China through a period of unquestionable political, economic and cultural prosperity which rivalled any comparable period of high achievement in Chinese history. 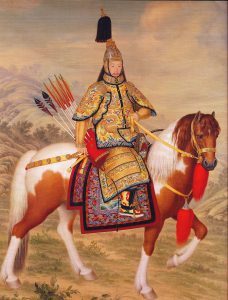 Territorially Qianlong added more than 30 per cent of landmass to the Empire through successful military campaigns and astute diplomacy. He was passionate about preserving Manchu culture whilst respecting and nurturing other ethnic Chinese cultures. Qianlong travelled his Empire regularly undertaking lavish expeditions to the South and West designed to forge loyalty to his Imperial rule. Despite all these successes as a ruler it is in the fields of the sciences, arts and culture that Qianlong made the greatest contribution to China’s heritage. Qianlong was a noted scholar who during his lifetime wrote and published over 43,000 poems, painted on virtually a daily basis and was accomplished in the art of calligraphy. It was perhaps as a Collector of Fine Art that Qianlong created his greatest legacy. He amassed a treasure trove of hundreds of thousands of works of art from previous dynasties or which represented the finest current workmanship. His collection spanned all genres of the arts including paintings, porcelain, jade, textiles, enamelling, ivory carvings and snuff bottles. This lecture will provide an insight into Qianlong not only as a successful Emperor of China but also as a scholar and ‘ultimate’ collector of fine art. A wide range of items of the highest quality, produced by the Imperial Workshops, will illustrate this lecture. 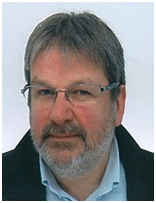 Lecturer: David Rosier a Chartered Insurer by profession and a Fellow of the Assurance Medical Society, with extensive international experience as an author and lecturer in Medical Risk Assessment. He has in excess of 25 years of working and living in Asia. Whilst living in Hong Kong (1991-2004) he assembled a collection of approximately 700, predominately Qing Dynasty (1644-1911), Imperial and related textiles/costume accessories. Past Committee Member of the Hong Kong Textile Society and frequent speaker on Imperial Insignia and Badges of Rank. 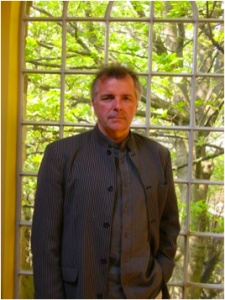 Lecturer: Michael Howard is Programme Leader in the School of the History of Art and Design at the Manchester Metropolitan University where he teaches both academic and studio based students. Fellow of the Royal Society of Arts and President of Bolton DFAS and is a practising artist, painter, sculptor, printmaker and ceramicist. With his wife, also an artist and accredited lecturer for The Arts Society, he runs weekend and one day courses. Has curated many exhibitions and published widely most notably on Lowry, Goya, Whistler and Cézanne. Exhibited at the RA. His work is in Manchester Art Gallery and in private collections in the UK and abroad. Has featured on TV and radio and had many awards including a prestigious Peabody award.